In 1998, Subaru of Japan produced a widebody, coupe WRX STI called the "22B STI" produced between March and August 1998. 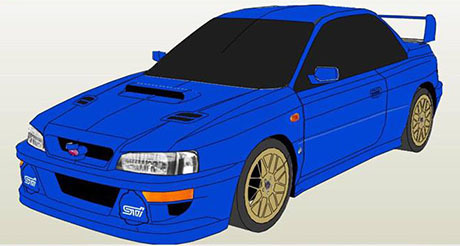 The 22B was used to commemorate both Subaru's 40th anniversary as well as the third consecutive manufacturer's title for Subaru in the FIA World Rally Championship. Paper model created by Thomas Truong.